The well-known mantra “Built Ford Tough” is cemented on a foundation of legendary engineering that goes back over a century. That tradition of craftsmanship can trace its roots back to turn-of-the-century automotive manufacturing facilities across the country. 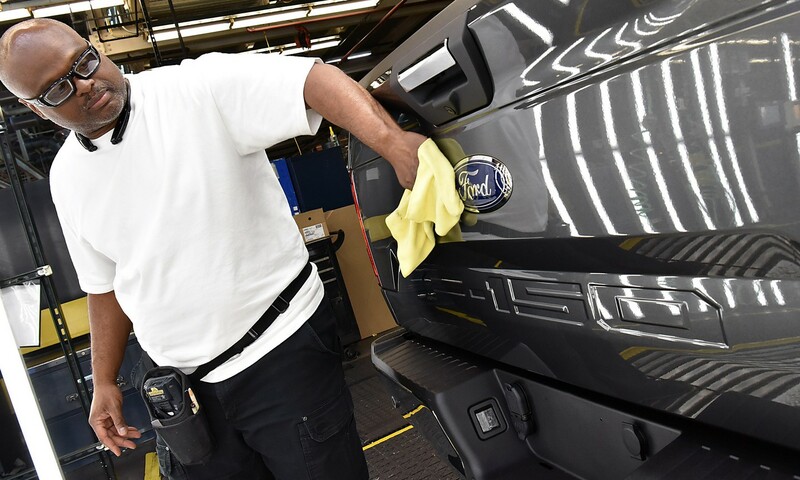 Today, Ford continues to innovate the auto-world with assembly plants and other facilities across the planet, but some of the most cutting-edge technologies and processes can be found right here at home, at the automaker’s River Rouge Plant in Dearborn, Michigan. When construction began in 1917, few people would have known how influential the plant would be to the rest of the industry. At one time, this plant was the largest integrated factory in the world, inspiring other plant designs by competitors around the globe, like GAZ in the Soviet Union and Hyundai in South Korea. It’s been seen as such an important part of US history that the plant was even featured in the PBS historical documentary called American Experience. Recently, The Rouge celebrated 100 years of producing the world’s finest automobiles. To mark this anniversary, the automaker re-tooled the plant to produce the latest generation of Ford trucks. Moving forward, Ford plants like The Rouge set the stage for the leading edge of technological advancements in manufacturing. Ford plants already house some of the most sophisticated robotics in the world, combining the precision and efficiency of autonomous machinery with the creativity and critical-thinking skills of highly-trained people. In addition to robotics, Ford personnel use mechanical exoskeleton suits to aid in strenuous activities and drones to inspect hard-to-reach or dangerous spaces (pictured below). All of this innovation and conservation is not easy to achieve, but it sure is easy to appreciate, especially when you consider the end result. Ford makes some of the finest cars in the world, and it’s all thanks to the finest leadership and personnel in the industry. Lynch Ford Chevrolet would love to show you the end result in person. Check out our latest inventory online, and then contact our sales staff to schedule a test drive.